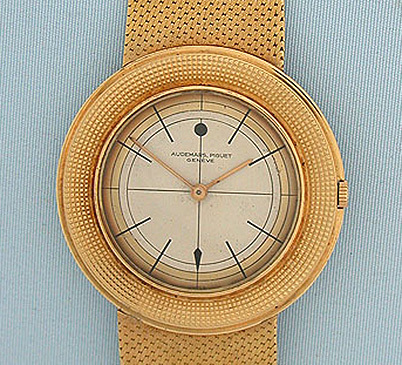 Fine Swiss Audemars Piguet ultra thin vintage wrist circa 1960 watch with hobnail bezel, two-tone dial, and original signed gold bracelet. Distinctive case with wide hobnail design bezel. 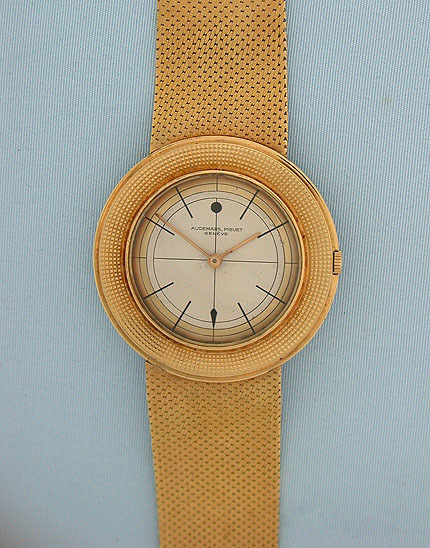 Original two-tone dial with gold hands. 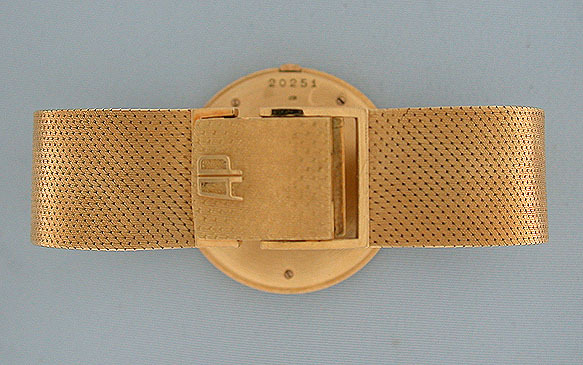 Original bracelet with signed buckle. 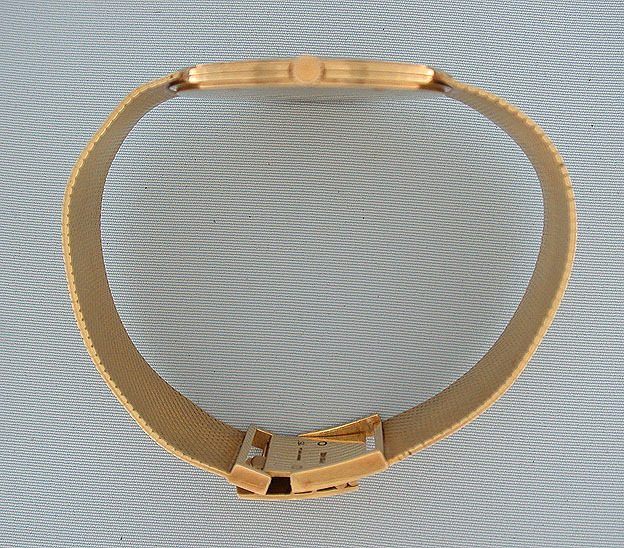 Calibre 2003 9 douzieme 17 jewel 5 adjustment movement. Overall length 7.25 inches. Elegant.